Founded in 1980, Houstonfest is an annual competition for Houston-area students in grades 8 through 12 who are learning German. It offers 43 contests for students in German I, II, III, IV, and V, including written and oral tests, declamation, drama, art, and music. There are also categories for "advantaged speakers." Registration is accepted only from German teachers registering their participating students as a group; we do not accept registration from individual students. For the 2019 contest we had 647 students from 23 schools registered. Entrants placing in the top five in each event at Houstonfest, traditionally held on the first Saturday of February, advance to the Texas State German Contest, traditionally held on the last Saturday of February. At State, Houstonfest's winners compete against the winners of Texas’ other two regional German competitions, Winterfest for the Dallas and North Texas area and Sprachfest for the Central and South Texas area. Houstonfest is held at Heights High School in Houston. State 2019 was on February 23 at Texas State University in San Marcos. Show your love for the Texas German contest system by producing a promotional video and entering our contest. You could win $250! Click here for the contest guidelines. After competition is over and while everyone is waiting for the awards to be tabulated, we will have entertainment by the band Das ist lustig and members of the folk dance group Keine Kunst. 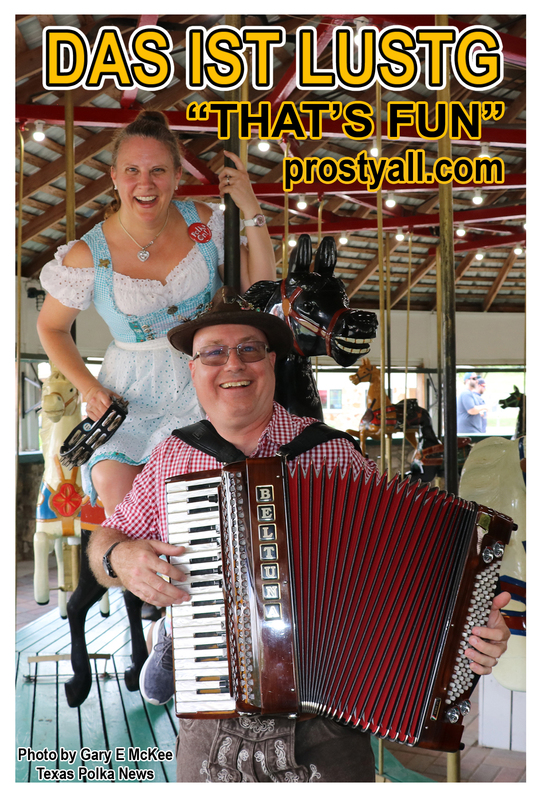 The Tomball German Festival traditionally invites winning Chorus, Folk Dance, and Polka Band groups as well as Vocal Soloists to perform at their festival each year and makes donations to the German Clubs of all schools that perform. contest held at Houstonfest 2019. It is by Will Nye of Willis High School.